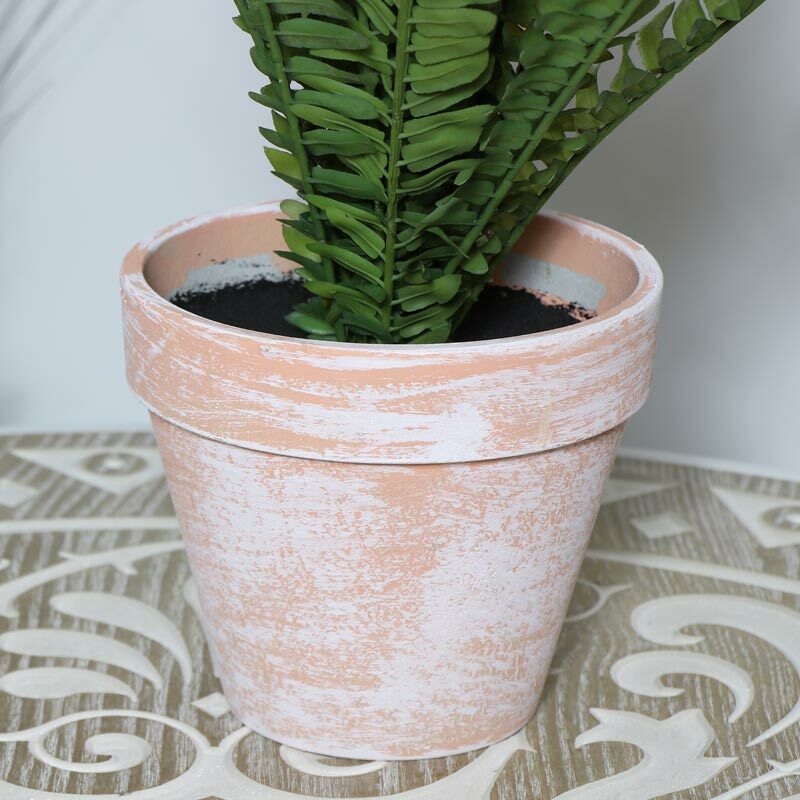 Artificial potted green fern in rustic terracotta plant pot. 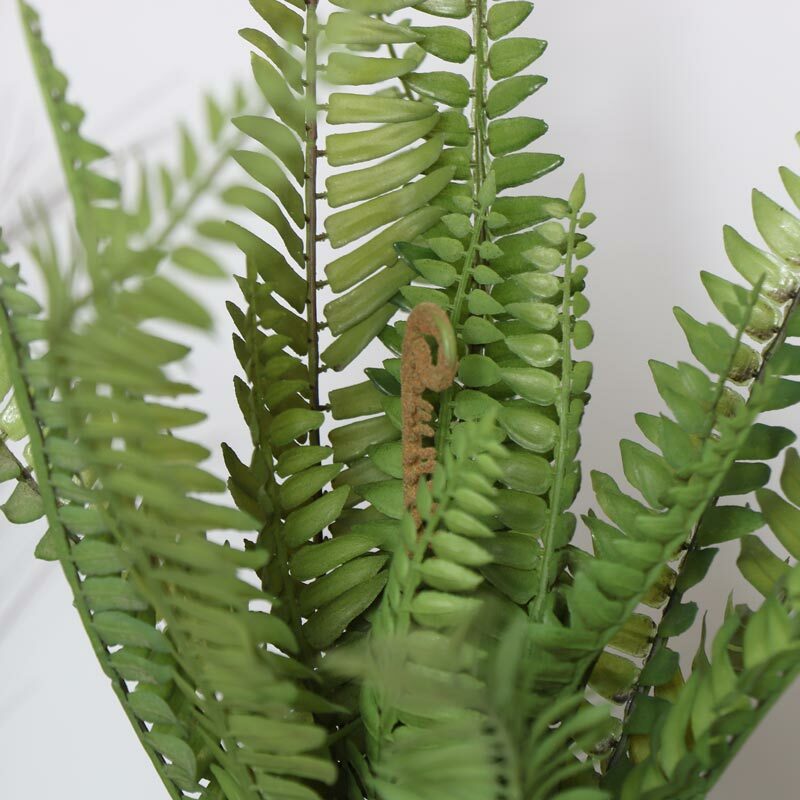 Realistic looking plant for botanical inspired home decor, perfect for adding a natural look. 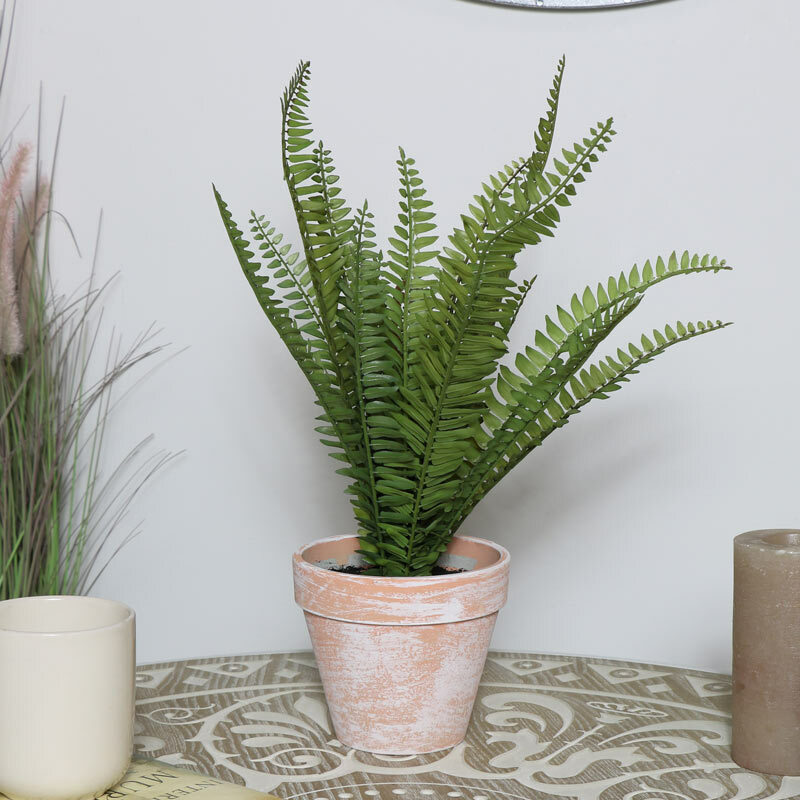 Pretty plant, ideal for anyone that wants to create a fresh natural look. With many more artificial plants and flowers available. Just what you need for creating a warm and inviting atmosphere without the upkeep and maintenance of real plants. Made from plastic and placed in a terracotta stone effect plant pot for an incredibly realistic look.